If you thought 2018's biggest fashion trends were wacky, just wait until I fill you in on the biggest Instagram trends of 2018. I'm talking about all of the new accounts, the popular style of posts, new poses and type of content we saw throughout the year on our feeds. As social media changes daily (new filters, tools, IGTV episodes, algorithm shifts, etc. ), it's interesting to see what becomes consistent as the year goes on, and how the fashion industry chooses to engage with the platform. This year was a wildly creative year in that regard. We had Jean-Luc Godard–esque subtitles on photos, dozens of new poses and the Gary Janetti saying, "But make it fashion" in our IG captions. Nostalgia wove its wave through most content, and thanks to Instagram Stories, we tossed away the idea of being overly "curated" in order to succeed. But I also think we took ourselves far less seriously on Instagram, making the most popular content on the platform also the most fun. So much so that things did, on occasion, get pretty damn weird. Keep scrolling to see the top Instagram trends of 2018. 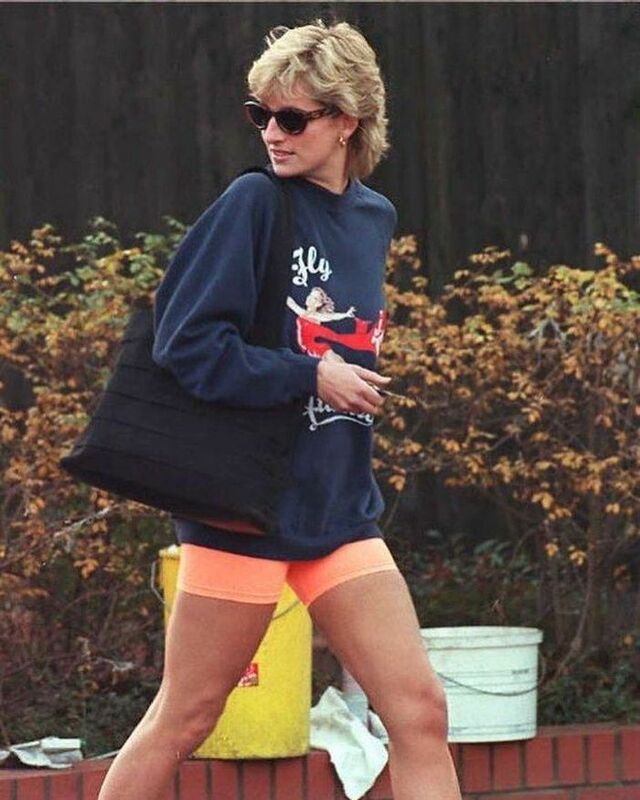 Princess Diana was the style icon of 2018, hands down. From Virgil Abloh's Diana-inspired collection for Off-White to the resurgence of polka dots, her influence could be seen everywhere. On Instagram, this resulted in new Diana-centric accounts, but with a twist. See @flyladydi, which accounts her coolest looks, while @princessdirevengelooks remembers her "sassiest post-divorce looks." I love a good prop as much as the next person, but pretending to be on the phone—not your mobile, but you know, one with a cord and buttons—while wearing a fabulous outfit is so funny. If this continues, I can only imagine where this will lead in 2019. Fax machine? Telegram? I'll be ready. Influencers this year not only were wearing all the clothes we wished we had, but they also knew so much about art. 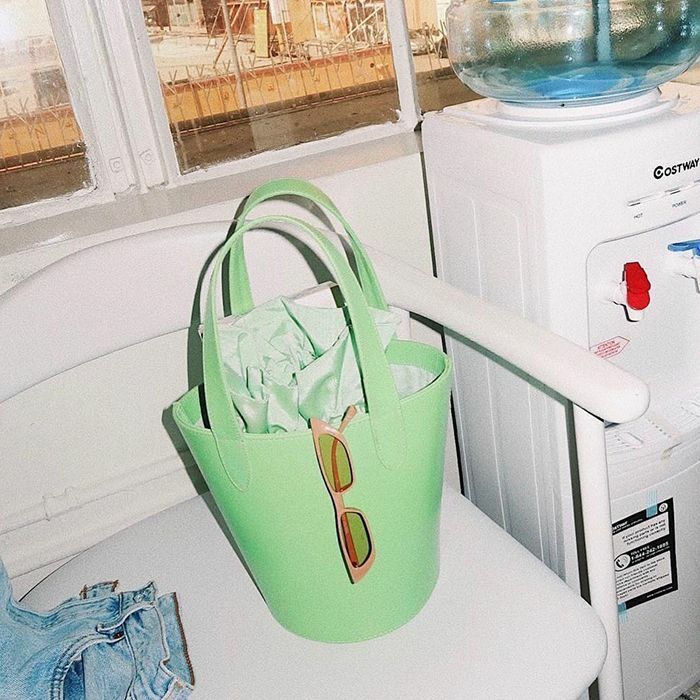 Shifting from straight-up fashion, influencers expanded their horizons and started creating mood boards rather than an endless stream of outfits. Instead, influencers peppered their feeds with pictures that looked like they were sourced from Tumblr. Think architecture, art, sculpture, design and fewer pictures of avocado on toast. All of which fed into a new desire to only curate your wardrobe perfectly but your home and out-of-office experiences too. While Benjamin Seidler's fashion collages burst onto the scene a couple years ago, Instagram collage artists continued to emerge and stay popular throughout 2018. And, oh, how we laughed. 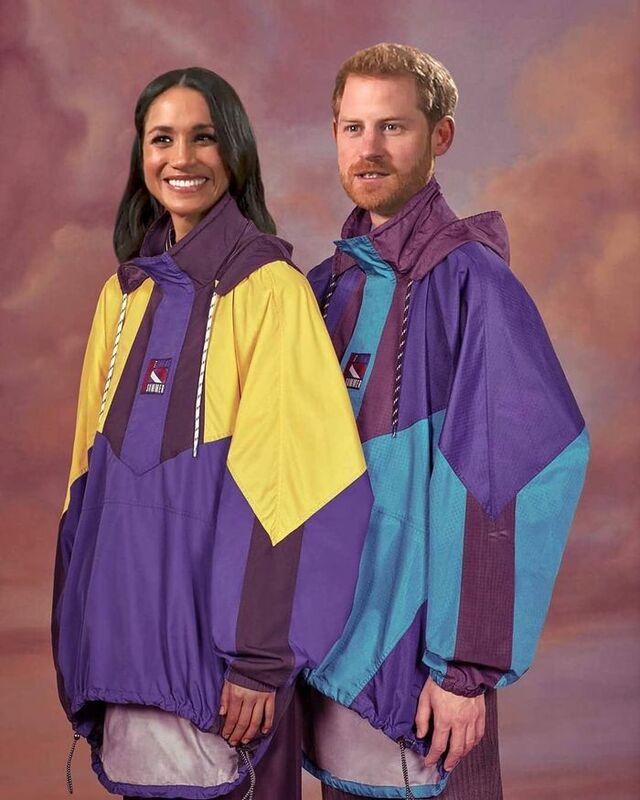 From Cardi B and Anna Wintour on the runway to Prince Harry and Meghan Markle in matching Balenciaga, things got silly, and we were 100% there to regram the action. Instead of collaging new-season runway collections into famous films scenes, artists like Freddie Made and Siduations would create reactive content—often the day after a major cultural moment, blending fashion, culture and politics. The result? Hilarity. I mean, Judi Trench! When this Jacquemus hat came down the S/S 18 runway a few seasons back, it was an instant hit. But even then we couldn't fathom the popularity of this (quite inconvenient!) accessory IRL. By the time Bella Hadid popped the gigantic La Bomba hat on, it was Insta-viral. Not only did every influencer seem to have one in their possession, but as summer progressed, there also seemed to be an unspoken contest for most outrageous version of this photo. No mountain too tall, no clothes too few. At the end of 2017, there were murmurs that video would take centre stage across social media in the New Year. For us on Instagram, we wondered how that would work. Are we meant to be video editors now too? But a new generation of digital filmmakers we did not become. Instead, we just uploaded a lot of raw videos. Our fashion feeds were filled with intimate BTS videos of fashion shows, shoots, outfits and life as a street style star. Pierpaolo Piccioli, the 2018 Designer of the Year for his work at Valentino, was an early adopter of sharing his personal videos on Instagram, often showing how he would create an haute couture collection or cast models like Kaia Gerber. Because of this, we got to witness historic fashion moments before they even happened like it was a WhatsApp from a friend. Of course, @everyoutfitonsatc was the first of its kind in this category of Insta accounts, but the effect has been a digital costume archive of nearly every favourite show ever. This reminded us of some of our most-beloved characters and how brilliant their wardrobes were, like Janice from Friends. This year, new accounts documenting every single outfit a character (or cast) wore on a show boomed, but the ones documenting the characters from Friends, The Sopranos, and Alexis from Dynasty are the must-follows. We love identifying the pose crazes of Instagram—from the bustie to the baby giraffe—so it was hard to narrow down which one to highlight. The "lord of the dance" (that's the official name of this yoga pose) emerged in the later half of the year, so it'll still have legs (get it?) in the New Year. It's also good to try and stretch it out a bit more on the reg. As a social media editor, I love the direction Instagram took this year. We were willing to experiment and try new things. While there will always be some level of editing (simply choosing to post or not post something will often do the trick), it felt like people (in the fashion world, at least) on the platform were willing to come into their own a bit more—and not just live by the rules or analytics offered up on professional accounts. Sure, we're still posing and being ridiculous, but that's just fashion, darlings.